An electric mobility scooters offers seniors easier mobility, which is especially comforting in the event where a parent has suffered a bone or joint injury, a debilitating illness, or is sufferingwith stability and balance issues. Scooters offer seniors more independence, leading to enhanced self esteem, and reducing the need, at least temporarily, for constant support when ambulating to different areas of a home, between indoors and outdoors, or accessing neighborhood amenities or sightseeing venues. Understanding the basics of what this product offers may help seniors and their caregivers make educated decisions when purchasing one to suit specific needs. Electric scooters come in many different makes and models, but most offer either three- wheel or four-wheel models. They are battery operated and contain basics like a seat, a base or floorboard for the feet, an electric motor, and other features including steering column, throttle devices and ignition switches. Most have automatic braking systems that engage when the throttle is released. Different scooter models offer different battery duration, and individuals may need to determine priorities in regard to leg room, battery range, seating, and maneuverability. Scooters also come in different sizes and weight capacities. It's recommended that individuals choose a scooter that will allow for weight gain over time. In addition, consumers should take a close look at standard seating, most often offered around 17 inches in width. Individuals may feel more comfortable in a 20-inch wide seat. Many manufacturers recommend mid-size to full size scooters, which offer more legroom, comfort, and battery range than travel scooters. In addition, elderly individuals planning on using the scooter on an upgrade, such as a long driveway, or commonly travels on inclines of more than 6 degrees should choose to scooters with higher weight capacities which will not only help extend motor life but also performance. Choosing an electric scooter should also be determined on whether or not it will be used mostly indoors or outdoors. Some people will be using their scooter both indoors and outdoors. Three-wheeled scooters are especially effective for indoor use because their turning radius is smaller, they're more lightweight, and have lower ground clearances, which help to ensure indoor stability. Four-wheeled scooters may be used indoors, as they are compact and are still highly maneuverable indoors, though a little less so than the three-wheeled models. Most four- wheel model scooters offer high maneuverability in an indoor setting, and are especially effective when used outside the home, such as the grocery store, library, or other indoor venues. Three-wheeled and four-wheeled scooters are relatively easy to mount on the back of a car utilizing a special ramp, offering individuals easy access. Outdoor scooter models are typically larger and more powerful than indoor and combination indoor/outdoor scooter models. Most outdoor models offer a wider track and longer wheelbase, enhancing stability on uneven terrain such as dirt, in parking lots, and going up and down driveways, traversing gravel parking lots and off-road use. Outdoor four-wheel electric scooters have increased power and stability and are able to take high inclines. 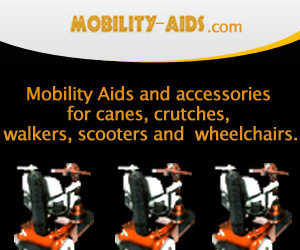 Such models may also be upgraded with front and rear suspension for seniors routinely traversing uneven ground. Decide on an electric scooter model that best suits the needs of the elderly individual. Take the time to compare models, capabilities and pros and cons before selecting a scooter. Choose models that will address specific needs and offer long term accessibility and function.